22.50 on amazon....what did you give for yours? 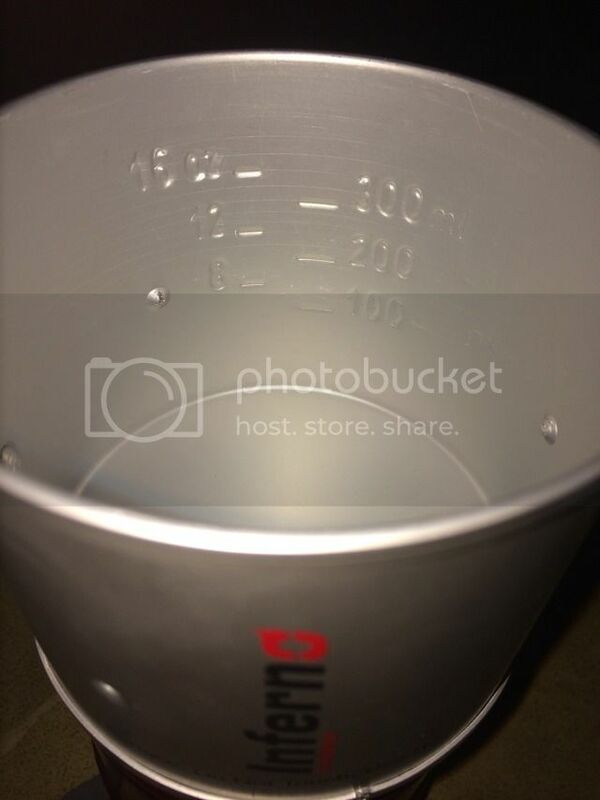 Does the lid fit on the bottom of the pot support ? It's nice that the pot has head room for the 2 cups to boil. 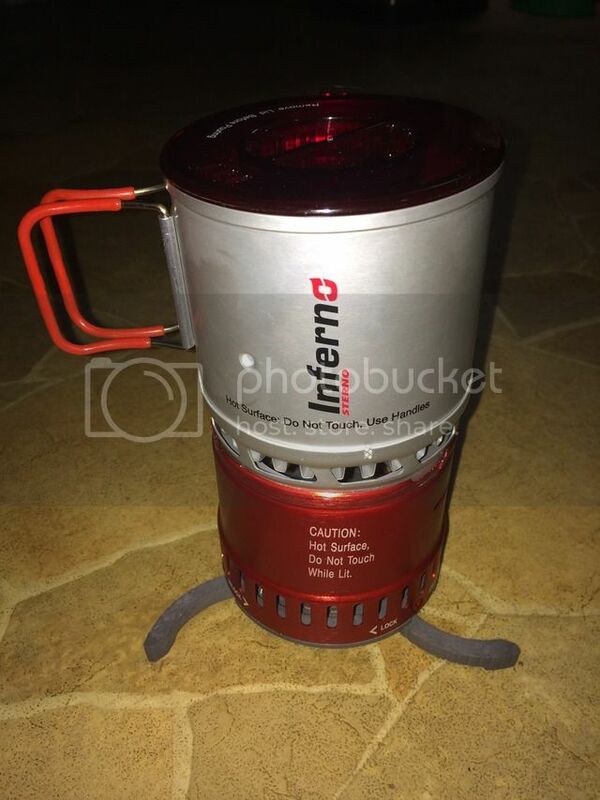 It does have a heat exchanger on the bottom of the pot. It was clearance priced at $15 and was the only one they had. 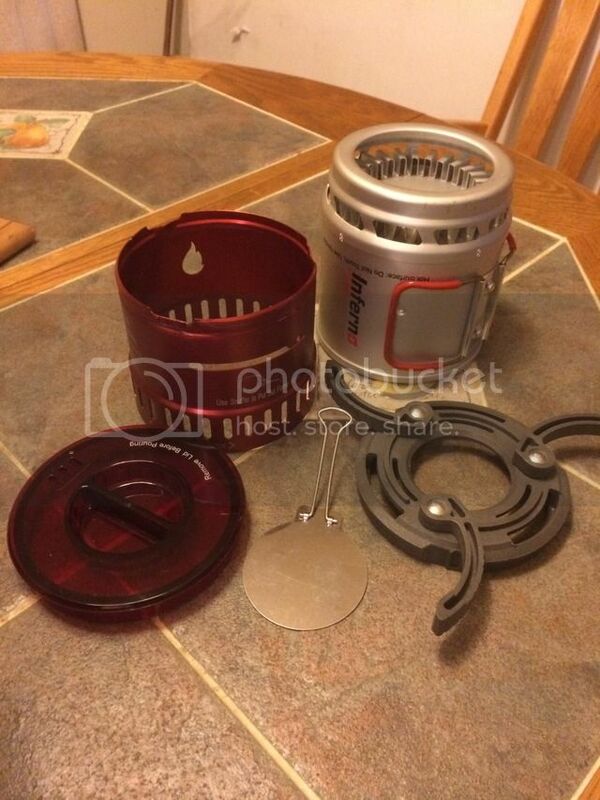 I picked it up, took it apart and thought, what do I need with another cooking system and put it back on the shelf. When I got home, a quick search of the web resulted in very little. I could not find any YouTube videos on it so As luck would have it, three days later, it was still where I set it down. The fact that I squirreled away a bunch of sterno fuel cans(both sizes) when Kroger marked them down dirt cheap, made my decision easier to buy the unit. The box shows the lid being stored over the heat exchanger but it does not fit or snug down but fits securely over the legs. It says optimum performance is with the 7oz. 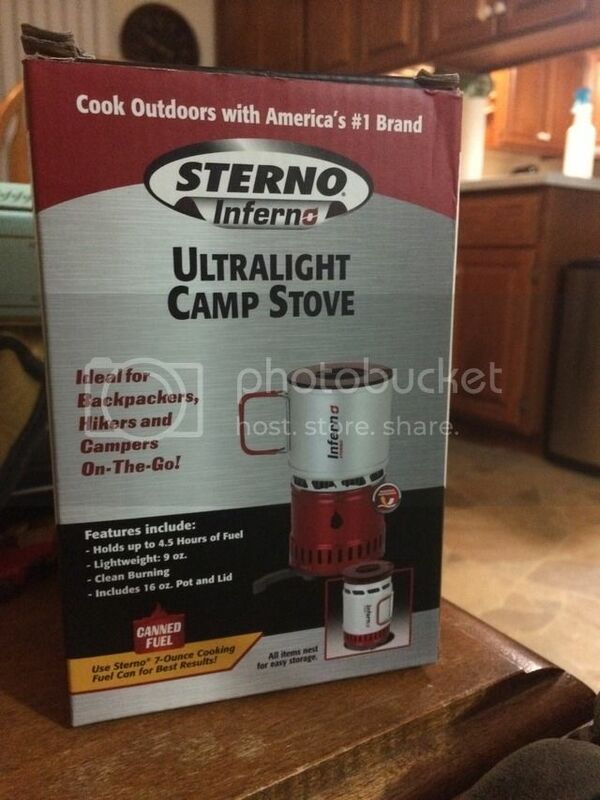 sterno fuel can.